Google Search created an inflection point in human civilization by offering an elegant solution to finding relevant search results. That sounds like hyperbole. It’s not. That’s why Google is Google (or Alphabet as the case may be). 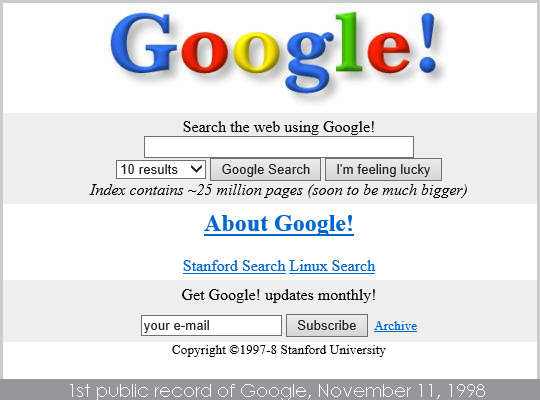 Prior to Google Search, getting relevant information was hit and miss. Users would try sites like Altavista, Lycos, Yahoo and others and still not find what they were looking for. The PageRank algorithm created by Larry Page and Sergey Brin changed everything: one search at one site provided more relevant information in 10 seconds than an hour of banging around any of the alternatives. The polite technical business term for this level of innovation is that it’s a Big ___ Deal.